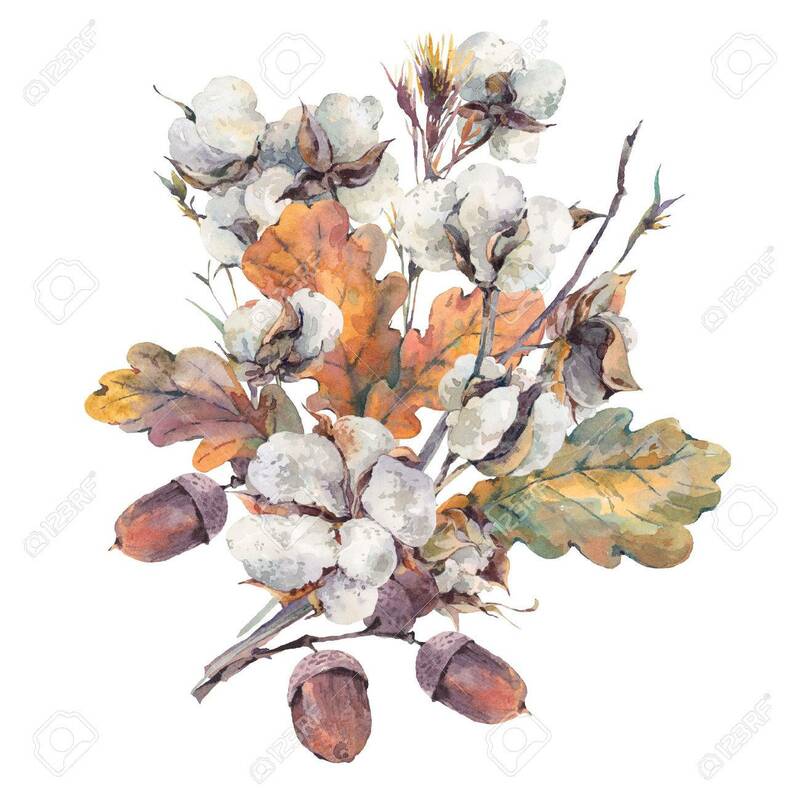 Watercolor Autumn Vintage Bouquet Of Twigs, Cotton Flower, Yellow Oak Leaves And Acorns. Botanical Watercolor Illustrations. Greeting Card. Isolated On White Background Royalty Free Fotografie A Reklamní Fotografie. Image 60772261.